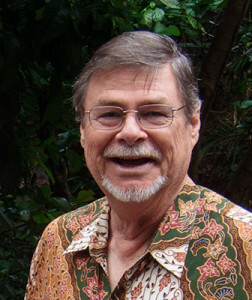 Lewis “Pete” Peterman was professor and director of musicology and ethnomusicology in the School of Music and Dance at San Diego State University, from where he retired in 2005. Pete performs both early European music on period instruments and traditional Shona mbira music from Zimbabwe. He has lectured and performed recitals in Europe, Asia, Canada, Mexico, South America, the Pacific, and across the United States. In addition to scholarly publications in both musicology and ethnomusicology, he has several early music recordings to his credit, including The Age of Chivalry, Mission Music of California, and The Jazz Minstrels. Since 1973 he has studied, taught, and performed traditional music from Asian and African cultures, including music of Bali, Java, Sumatra, India, Iran, China, Japan, Korea, Ghana, and Zimbabwe. Since 1980 he has conducted over sixty research field trips to India, the Middle East, East Asia, Southeast Asia, Africa, Europe, Polynesia, the Caribbean, Mexico, South America, and more than a dozen Native-American reservations of the American Southwest.